Harry J. Boyum, 87, formerly of 902 N. Second St., died Sept. 24, 2003. Funeral services were held at St. Henry Catholic Church with the Rev. Bernard Rott officiating. Burial, with military graveside rites by American Legion Post 189, was in the parish cemetery for this WW II veteran. Harry was born Nov. 3, 1915, in Stoughton, the son of Andrew and Josephine Boyum. He served during World War II in the 252 Air Artillery Unit in the European Theater. On July 2, 1949, he married the former Alice Baurichter at St. Henry Catholic Church. She preceded him in death on March 15, 2001. Harry and his wife Alice ran the former Boyum Grocery on North Second Street for many years. I have the fondest memories of stopping there, I swear after school every night walking home, and yes for ten cents or so it seemed like I got a bag of candy!! The Indian-whatever salted pumpkin seeds in the red and white bag, the twister hard sour candies, the sweet tarts, those dot candies on the paper strips, yes . . . that stuff !! I can picture yet being in that store, at the counter, looking around at the candy counter to the left, the ice cream freezer to the right, all about the size of a small walk in closet [contributed memories]. He was a member of St. Henry’s Catholic Church, American Legion Post 189 and the Knights of Columbus where he served as treasurer for many years. Survivors include two sisters-in-law, Rosemarie Boyum of Lake Mills and Lucille Boyum of Beaver Dam; nieces; nephews; great nieces and nephews; other relatives and friends. He was further preceded in death by his parents; two brothers, Andrew and Edward Boyum; and one sister, Katherine Wolff. Pfc. Harry Boyum has been transferred from Fort Benning, Ga. His new address is: Btry. C., 252 F.A. Bn., Camp Rucker, Ala.
Two brothers, Pfc. Harry Boyum and Pfc. Andrew Boyum, met in Germany. The death of longtime Watertown resident, Harry Boyum, marks the latest example of someone passing away from what author Tom Brokaw called "The Greatest Generation." These individuals grew up during the Great Depression and World War II. At a time when they should have been enjoying life, these men and women were risking their lives for the cause of freedom. Brokaw states, "They answered the call to save the world from the two most powerful and ruthless military machines ever assembled, instruments of conquest in hands of fascist maniacs." Harry Boyum was many things to many people but he unmistakably was a veteran of WWII, with extensive first-hand exposure to the brutality of war and dictatorships in Germany and Europe. Brokaw also states "this generation was united not only by a common purpose, but also by common values - duty, honor, economy, courage, service, love of family and country and above all responsibility for oneself." So true for those of Harry's generation, yet much less so for those who have come after this special group of Americans. 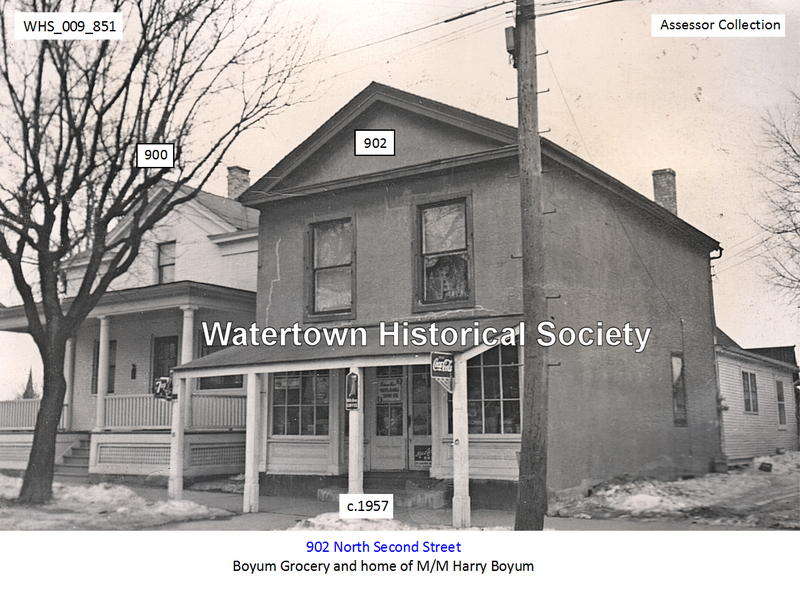 Harry and his wife, Alice, operated a small neighborhood store on North Second Street, called Boyum's Grocery for over 30 years. This grocery store was first opened and operated by his uncle, Joseph Fischer, in 1909. I remember as a youngster attending St. Henry's, the thrill of racing down to Boyum's Grocery prior to school, to buy a bag of penny candy. He loved seeing kids come into his store and had no problem with giving them more treats than what they had paid for, sometimes to the displeasure of his wife. 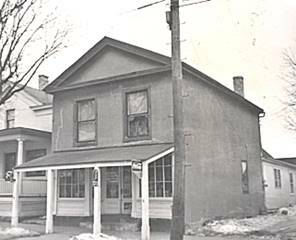 This neighborhood store also had their house within the same building, so they were never far away, in terms of providing a level of service that businesses today could not match. It was not unusual either for customers to buy items at Boyum's Grocery "on a tab," with the terms of payment to be worked out later. The remarkable thing about stores like Harry's is that they made a living doing it, and they took pride in what they were doing for a living. Sadly, this same opportunity is not realistically available today. Like so many others of his generation, Harry was actively involved in his community. He served in the Knights of Columbus for 25 years, was a lifetime member of the American Legion and was an active member of St. Henry's Parish. Until a few years ago, while Harry's wife was still living, the two of them would regularly attend Mass, at times on a daily basis, if the weather permitted. Seeing the two of them crossing the street, at the corner of Cady and Fourth Street, was inspiring, and a bit entertaining for other members and anyone else going by. They stopped traffic, but it did not stop them from attending church. These virtues mentioned earlier, of community service, practicing your faith, love of country, hard work ethic and personal responsibility, are ones reflective of Harry Boyum and many of his generation, yet the same cannot be said of the Baby Boomer Generation, Generation X and those growing up in today's world. The consequences for our nation and all local communities will be obvious and negative, unless something happens culturally to turn things around. Edward F. Hinzmann, whose barber shop on North Second Street has been under his management for the past 22 years, will close his place of business Saturday night, bringing to an end his long career as a barber here. He announced plans to close his shop some time ago and today he stated that Saturday will be his final day at the shop and that it will close that night. Mr. Hinzmann took occasion to thank his patrons and the public for their generous support throughout the years he has been in business hero. He has taken over the Sixth ward neighborhood grocery store at 902 North Second Street which was operated for many years by Joseph Fischer and later by Mrs. Joseph Fischer and will operate that.